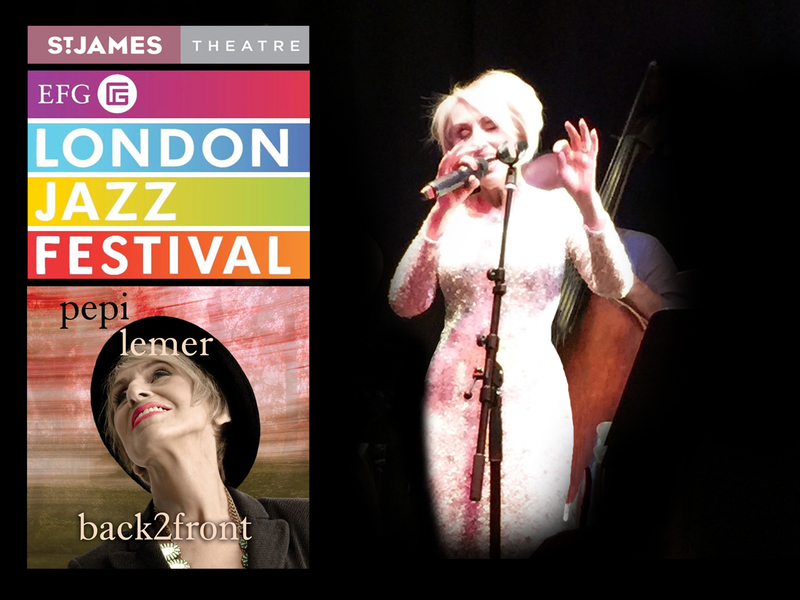 Pepi Lemer performed again with her amazing band this year. You can check out the photos on our gallery page. For more information on the latest gig you can view the press release here. 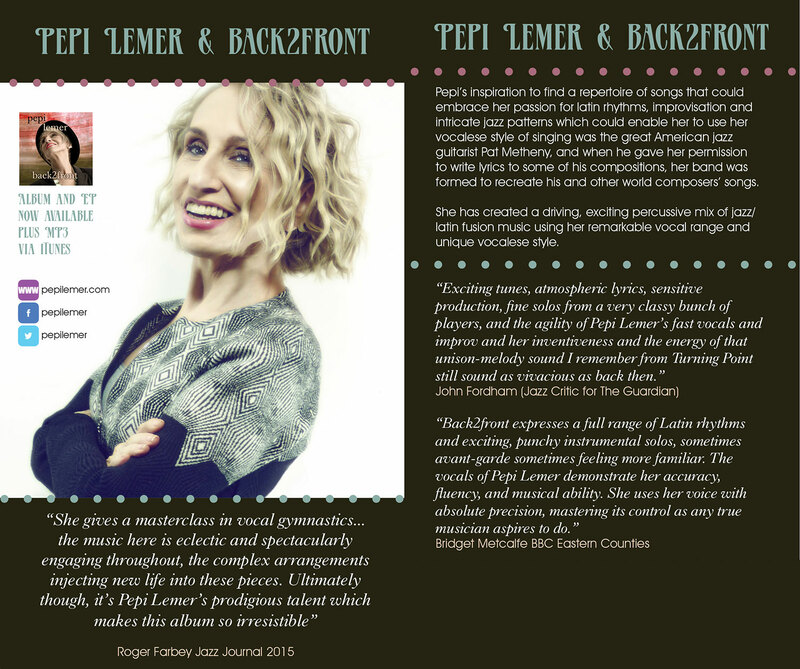 “Exciting tunes, atmospheric lyrics, sensitive production, fine solos from a very classy bunch of players, and the agility of Pepi Lemer’s fast vocals and improv bring back many fond memories from when I last heard her perform in what must have been the 1970s. Her inventiveness and the energy of that unison-melody sound I remember from Turning Point still sound as vivacious as back then. “My love affair with jazz has been my musical inspiration for as long as I can remember and having sung in many different genres of music over a long and varied career, the wonderment of improvisation and style still holds me in thrall. My inspiration to find a repertoire of songs that could embrace a passion for latin rhythms, improvisation and intricate jazz patterns which would enable me to use a vocalese singing style, was the great jazz guitarist Pat Metheny and when he gave me permission to write lyrics to some of his compositions this CD and a new band was formed. In collaboration with pianist/composer Peter Lemer we have created 12 new interpretations of songs from around the world, and I have written lyrics to six of them, as well as setting a poem by Robert Browning to a composition by the group Trio Globo. I have assembled a group of Britain’s finest musicians to perform this material which combines the styles of latin/jazz/world fusion music and I hope that it will reach a new audience. No music is new - but to embrace music past with renewed energy and colour can only be and is for me, thrilling”.